Have You Outgrown Your Skates? We are readily anticipating the summer season at Roller Kingdom. We’ve been counting down the days until school is out and are ready to skate every chance we get. You may find that you are in the same situation, but have outgrown your skates. Even if your skates still fit, it may be time for a new pair depending on why you skate. At Roller Kingdom in Hudson and Tyngsboro, we have active Artistic skating teams, and Speed Skating. We’ve also had quite a few skaters break it down with their jam skating moves! When purchasing skates, it is important to keep in mind what the skates will be used for. Certainly an artistic skater will not need the same type of skates that a speed skater will need. These choices are much more complicated than just choosing quads or inlines. 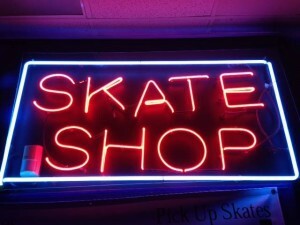 We recognize that for skaters, buying the right pair of skates is essential. For this reason, we are able to answer any questions that you may have in the process of purchasing skates. 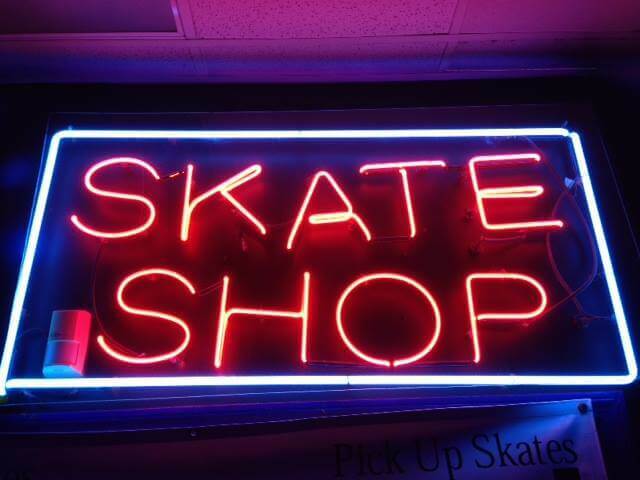 We keep a variety of sizes and styles in stock at the Skate Shops in both of our locations, so you can easily try skates on and take a spin around the rink before committing to buying them. If we do not have what you are looking for, we can order nearly anything from our suppliers. As you prepare for our summer season, don’t forget about our Skate Rebate. We are offering skating passes equivalent to the dollar amount you spend on skates. This is a great way to kick off your summer with brand new skates and free skating at Roller Kingdom!